Learn why you should choose Rubbish Works for your junk removal over the other guys. We pride ourselves on the best customer experience possible. Rubbish Works is focused on being open and honest with our customers. 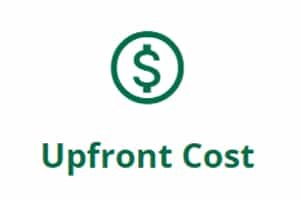 As part of that focus we are committed to providing upfront pricing to our customers. Our website technology allows us to be one of the few companies where our customers can view pricing during the booking process for both our Dumpster and On Demand services. In addition to finding our pricing online, our crew will provide a no obligation upfront quote before any work begins. Customers have two convenient methods for scheduling our service. They can book on our website 24 days a day 7 days a week. Alternatively, we have a staffed call center that is available during normal business hours. When you book an appointment with Rubbish Works, you will be able to pick a two-hour window that fits your schedule. Our crew will then contact you 20 minutes prior to their arrival. Rubbish Works is committed to eco-friendly recycling of the items we pick up. Up to 50% of the rubbish we remove is recycled on an ongoing basis. We make every effort to responsibly recycle or donate the items we take away. We work with several local charities to donate your gently used furniture or other items. Note: All appliances, Tires, TV’s, and computer monitors are environmentally recycled 100% of the time. As part of being a customer oriented service organization, we understand that we need to go beyond the normal for our customers. To start, we require our team members to have clean, consistent uniforms. We also train our team to go the extra mile to be courteous to our customers. We understand that the future of our company depends on repeat customers. We also benefit from customers sharing their experience with family and friends so it is important that our employees go beyond the normal service company. Rubbish Works carries all the required insurance so our customers can feel comfortable with using our service. We carry general liability insurance as well as workmen’s compensation for our employees. If there are cities or counties that required licensing, we have that license. Make sure to verify that any company that comes into your home is qualified and licensed before the work starts. Junk removal service can be a last-minute necessity for many of our customers. In most cases, we can provide same day service for customers in a bind. 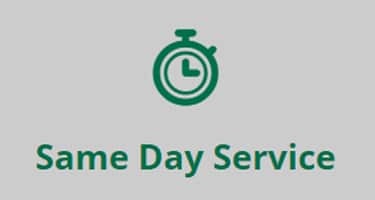 The option for same day service is a free service that is available with our standard rates. Check out our open time slots online or call our call center for an appointment.